There are a so many free events in London every single weekend… lots of them are crap and we just don’t want to suggest ‘whatever’ gigs. 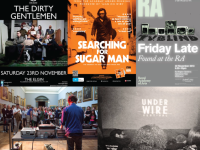 That’s why we check all over the web, magazines, newspapers and blogs to find the best free events in town, from art shows and exhibitions to music concerts and festivals. The whole idea is to suggest events and gigs that we would also like see. For most of us the weekend starts from Friday and that’s why below you’ll also find Friday gigs and events. Without further ado here is our Top 5 Free Events in London this weekend! An exciting evening of sculpture workshops, drinks and music all inspired by the exhibition of Bill Woodrow. The best party this weekend with Hot Chip’s Alexis Taylor on the decks, fashion workshops, a treasure hunt and more. Awesome funk swamp pop, soul and New Orleans rhythm and blues band that you shouldn’t miss! The festival’s closing party with music, live visuals and plenty of dancing at the Yard. Free screening of Malik Bendjelloul’s great documentary about a forgotten musical pioneer. 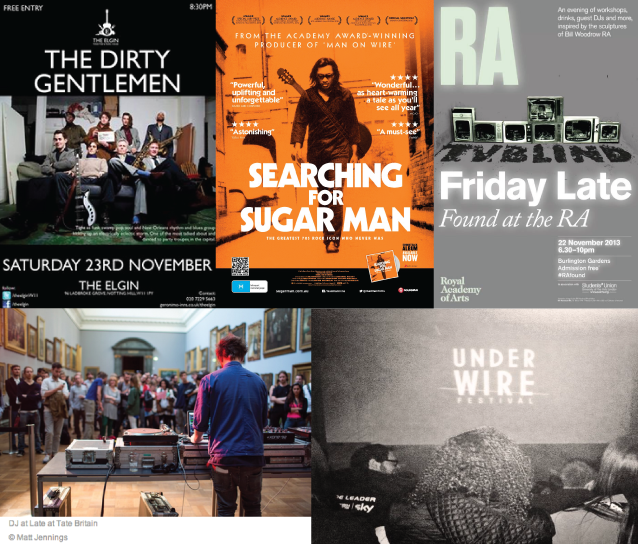 You may also want to have a look at our Top 10 Free Events in London in November 2013.